Reach150 is referral-driven online marketing software. Platform(s): Browser-based, with companion iOS app. Reach150 can be a powerful augmenter of an online marketing campaign. 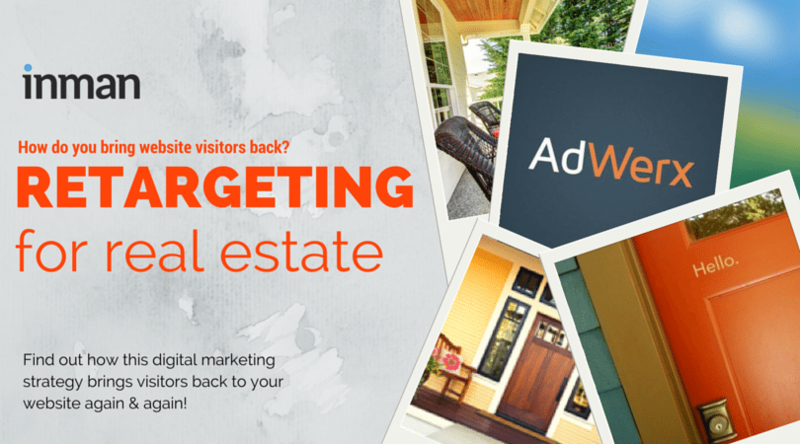 Agents will want to ensure other aspects of their online presence are up to speed. 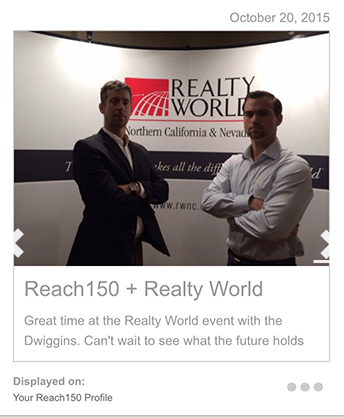 Reach150 isn’t built only for real estate agents. However, the overlap is obvious, and many agencies use the San Francisco Bay Area company’s products. The software was designed to assist any professional who works in a “relationship business.” It uses an automated approach that makes it very easy for agents to solicit and publish testimonials from customers. Clearly, it can only work if its easy for the customer to provide feedback, too. And it is. In fact, that’s what makes the system so powerful. When asked to provide a testimonial, clients are not required to log in or create any sort of account. They complete a couple of simple fields, add their notes and submit. It could be done in under a minute. Why not find as easy a method as possible for your customers to recommend you? Submitted testimonials are listed on a users Reach150 branded profile page. Your picture and contact information are nicely presented alongside your growing scroll of happy customers. The link is ideal social media content. 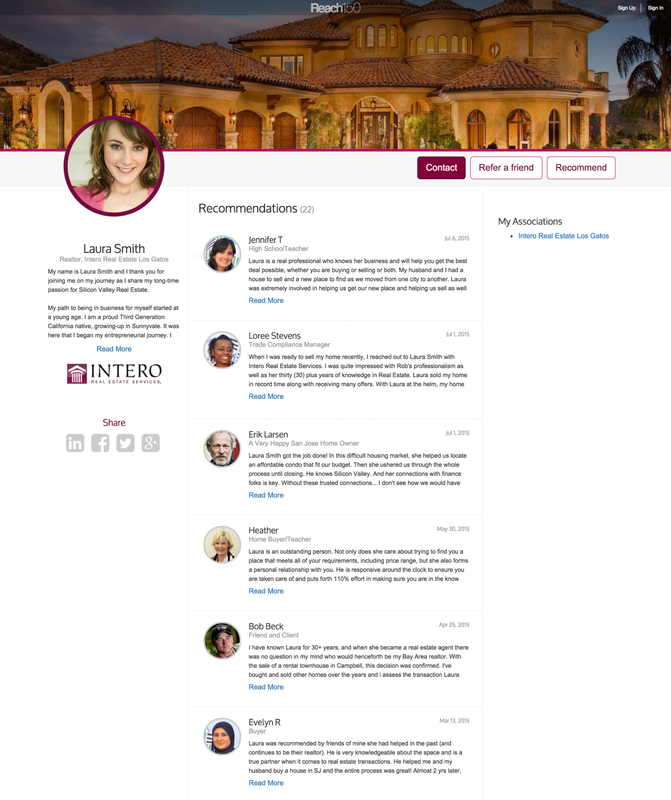 Upon completion, clients are asked if they would like to recommend you directly to other people they know via a large, obvious button on your page. The well-designed UI makes this as easy as the first step. The impetus for this feature was driven by the fact that, according to Nielsen, 92 percent of people trust referrals more when provided by someone they know. So why not find as easy a method as possible for your customers to recommend you? If a referred prospect browses your page, they become part of a soft re-targeting campaign, meaning an ad you create will “follow” them around the Internet. Reach150 has found that when it comes to re-marketing ads, it’s best to be conservative, so they’ve knocked back the number of appearances. The company also found that 90 percent of people will research a business online even after being referred. In response, it allows for users deep control over how testimonials are presented and shared to your social media networks. At no point will your profile page be presented next to another agent’s. The software isn’t building online directories of agents to be star rated or ranked by public comments over which you have no control. In fact, your Reach150 page might very well rank over a Yelp review submitted by that “one client” you couldn’t please. Because your Reach150 network is built on content provided by customers, who then refer others to that network, your marketing never leaves a circle of trust. As the re-targeting campaign kicks-in, the software is actually self-perpetuating your sphere of influence. It’s a closed loop of positivity that gets bigger with every touch point. Greatly increasing the value of Reach150 is its companion app. Linked directly to your existing account, the app enables users to assemble new online ads in moments. Walking out of a closing with happy clients? Grab a picture and drop it into the campaign. Land a great listing? Push it out there. This kind of reactionary marketing so easily integrated with a proactive online strategy combines to create an innovative, results-driven outreach effort. Traditionally, referrals are something most agents love to get, but typically don’t have an actual system for earning. Nor is there are established best practices plan for using them as the basis of your prospecting. Reach150 may be able to change that for you.